I am not a morning person and I have a hard time getting out of bed in the morning. I have discovered a in-wash scent booster that smells like oranges and gives my senses a boost of energy. 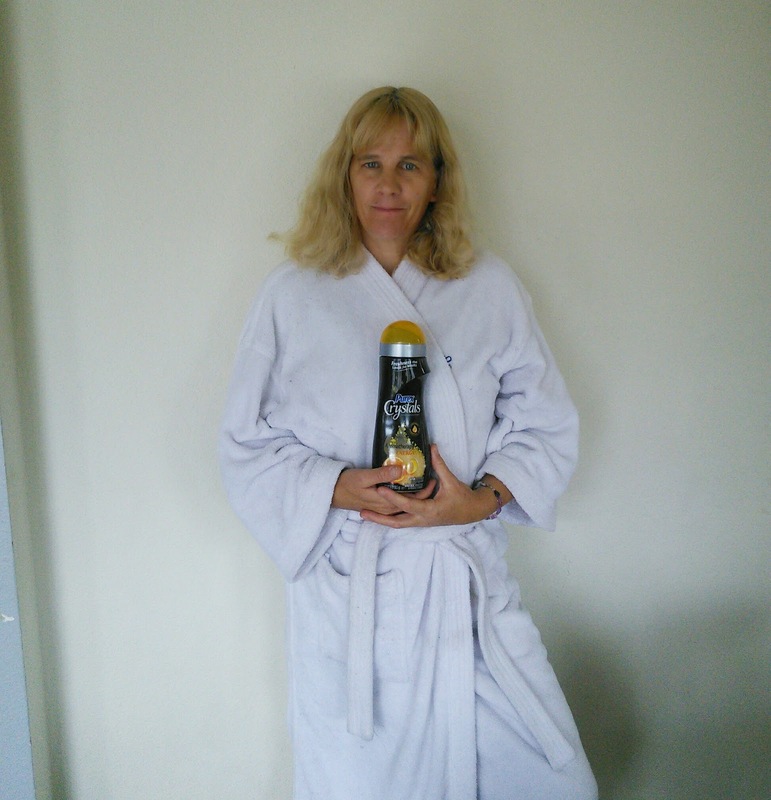 I washed my favorite robe with this wonderful product and now getting up in the morning is a whole lot easier. I put on my robe and take a deep breath. The wonderful citrus scent awakens my senses and energizes my morning. I am ready to take on my day! Purex Crystals Aromatherapy in-wash scent boosters will stimulate your life with their new wonderful scents of Well Being, Energy, and Serenity. These new scents will stimulate your life with their unique aromas of citrus and floral scents. 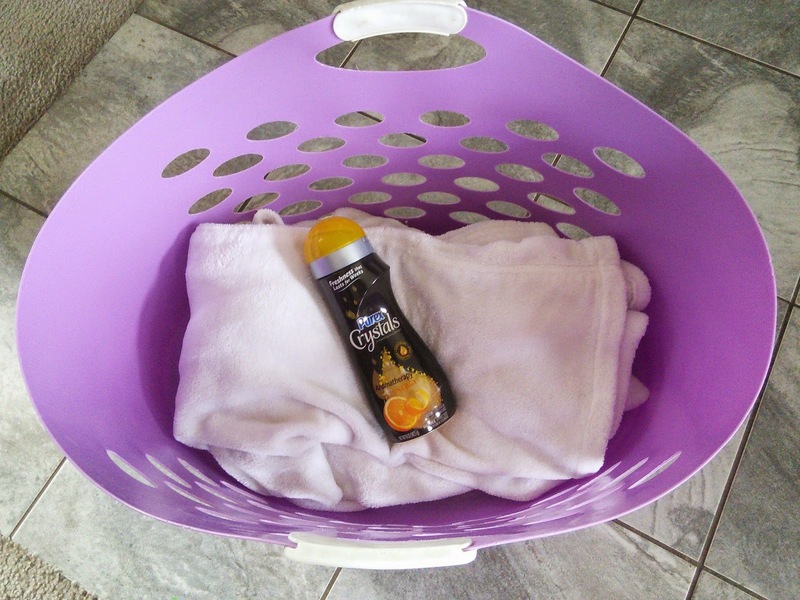 You simply add the colorful scent crystals at the start of your wash to supplement your laundry detergent. 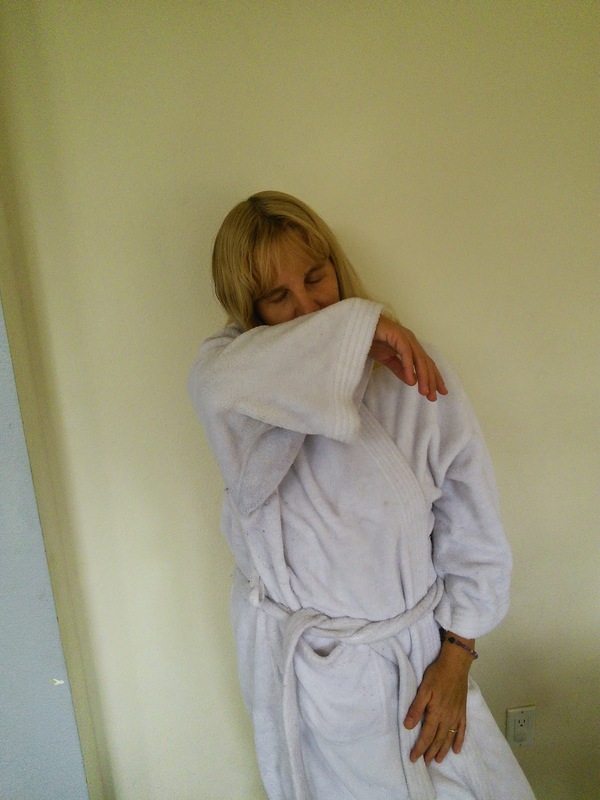 This allows the crystals to permeate your clothing with their wonderful aroma that lasts for weeks, not days. I love that my laundry room has a wonderful citrus scent while my clothes are washing. The citrus scent is also awesome while my clothes are spinning in the dryer. The citrus scent on my clothes might just make me want to do laundry more often. To learn more about Purex Cyrstals Aromatherapy, click on the below links. 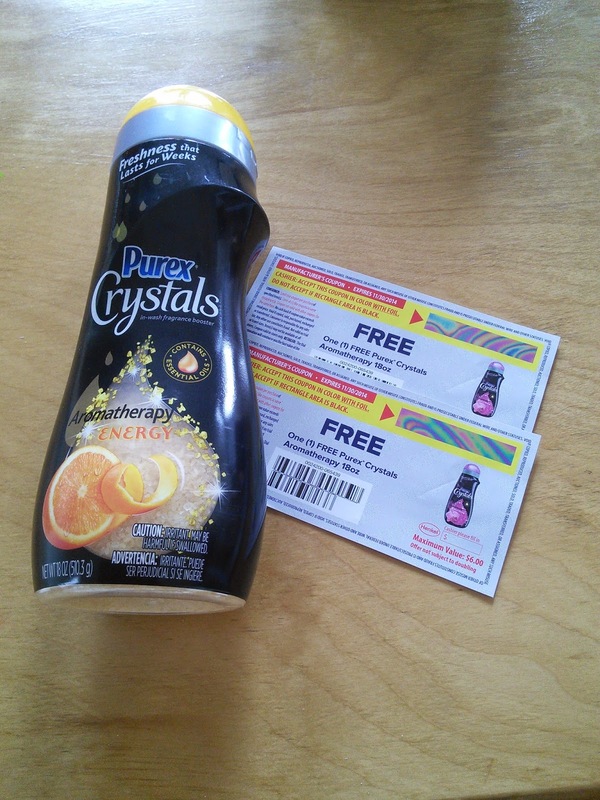 I have two coupons to giveaway to one of my readers so you too can experience the great scents of Purex Cyrstals Aromatherapy in-wash scent booster. Just enter on the Rafflecopter form below and good luck! "These opinions are my own. I was sent a bottle of the above mention product and coupons to write this post." Serenity sounds great to me. I LOVE these crystals -- their smell brightens my day every time. Thanks!! i love orange smelling anything! Energy, I could use a lot more of that in my life. I work late hours so anything that might boost my mood in a positive way would be nice. I love a bunch of scents for laundry, but especially lavender! I like my laundry to have a little citrus scent. I would love to try Energy and Serenity. I'm a huge fan of Lavender - I really want to try the Aromatherapy crystals! thats what I need serenity. Love all the scents, need to check these out. I would like to have orange or lemon scent for my laundry. I would totally wash my bedding in the Serenity scent! It'd be just what I need after a long day. I will have to give these a try! All three scents!!! Thanks for sharing. I would love to try the Serenity scent first. I love all kinds of Purex products. First I'd try their Energy formula. I'd love energy in my washer! As a new mom I need all the energy I can get! I love any fresh linen or clean scents...but I'm also a fan of floral, as long as it's light floral and not overpowering. Serenity would be my pick for these but I tend to like more fresh linen. I love any fall scents! Anything to energize me works - I keep odd hours and need that extra boost at 2am in the morning. I would like to try their Serenity scent. Lavender or citrus scents would be fine. I just like purex. I like citrus scents, and flower scents. But I'm starting to appreciate heartier scents too, like lavender. I would love Lavender or Coconut scents in my laundry! I would love to try the citrus. I would love to try well being!